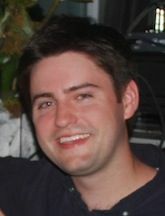 Karl R. Koehler, a 2008 graduate of DePauw University, is co-author of research published by Nature, the international weekly journal of science. "Generation of inner ear sensory epithelia from pluripotent stem cells in 3D culture" appears in the August 8 edition (volume 500, issue 7461). Koehler, who is completing work on his Ph.D. at the Medical Neuroscience Graduate Program at the Indiana University School of Medicine in Indianapolis, reports, "For the last five years, I've been toiling away in a lab working with mouse embryonic stem cells. My project was to figure out how to take a ball of stem cells and turn it into parts of the inner ear using different protein and small molecule treatments. Thankfully, for my sanity, I was successful about a year ago and the resulting paper (is now published)." In an email to Vanessa Fox, associate professor of biology, Koehler -- who majored in that subject -- adds, "This has been a major accomplishment and I just wanted to say thanks for being a great teacher and mentor to me during my time at DePauw. Without encouragement from my mentors I don't think I'd be where I am today." He adds, "As my graduation date approaches (November-ish), I've been emailing past professors and mentors to express my gratitude for steering me toward a career in science. Although I have strayed from the ecological path, I credit you with helping to foster my love of science. I have fond memories of monitoring nests, collecting bugs and analyzing leaf litter in the Nature Park. Thank you for letting me work on your project." 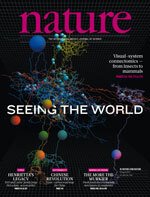 The article is available at Nature's website. Learn more about the 2005 project cited above, which was conducted by DePauw's Science Research Fellows program, here.